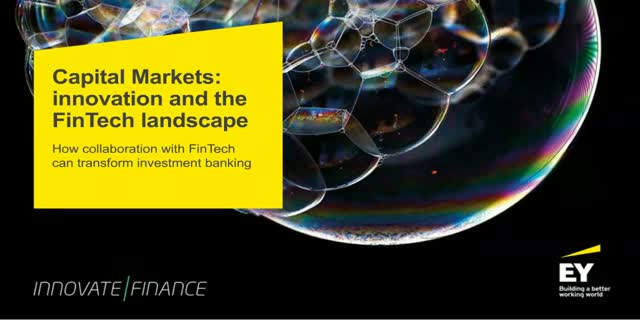 Join David Williams, Partner at EY, for a webinar discussion about the findings of EY’s New Report Capital Markets: Innovation and the FinTech Landscape. The research was produced in conjunction with Innovate Finance, the UK’s membership association for global FinTech. The report shines a light on the investment banking industry, examining why and how capital markets firms across the globe can and should collaborate with FinTech organisations to drive their own evolution in the years to come, and to secure their future role and position in the financial services ecosystem.